Reflections is a National PTA and Washington State PTA cultural arts competition. Students enter in any of six categories: Visual Arts, Photography, Literature, Music Composition, Dance Choreography, and Film Production. Three students from Shoreline schools received awards at the state level and were named WSPTA Reflections Award Winners for 2018-19. Of approximately 900 submissions to the state competition, there were 92 finalists. Reflections has three awards in each category within each age division. The three awards are Outstanding Interpretation, Award of Excellence, and Award of Merit. 27 students who earned first place at the state level in Outstanding Interpretation have been sent on to the national competition, among them our three Shoreline students. 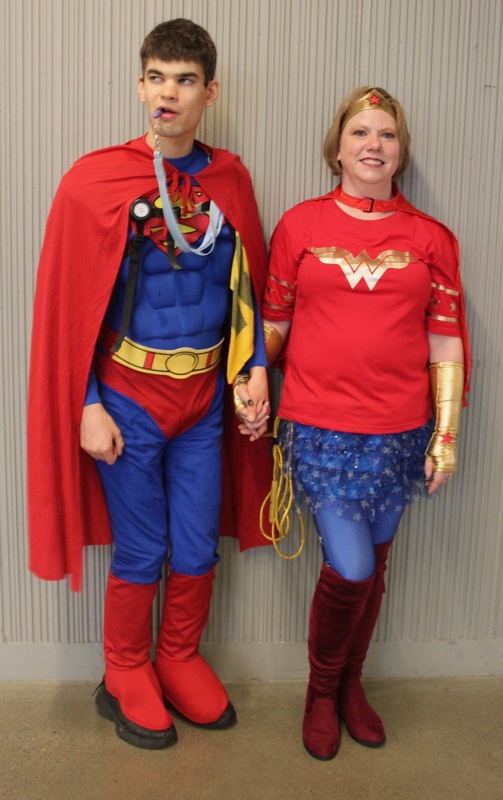 The theme this year was “Heroes Around Me” and students are judged on their interpretation of the theme. All three Shoreline winners received Outstanding Interpretation and are moving on to the national level competition! 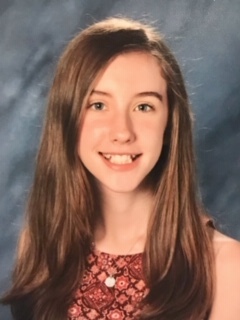 Tara Hanks, an 8th grader at Kellogg Middle School won for her piano composition called “Dance of the Forest” in the music composition category. Calvin Nguyen, a 2nd grader at Lake Forest Park Elementary won for his poem titled “My Tiny Hero’s Original Story” in the literature category. He wrote his poem about his baby sister. 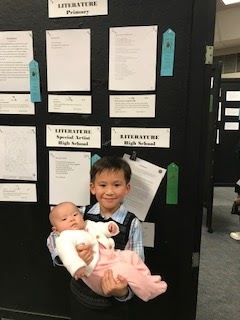 Here he is posing with her at the Shoreline District Reflections celebration this past January, with his poem and blue ribbon above them. Jerimiah Johnson, a 12th grader at Shorecrest won for his poem titled “Hero Around Me” in the special artist literature category. He wrote his poem about his teacher, Veronica Cook, pictured here with him. 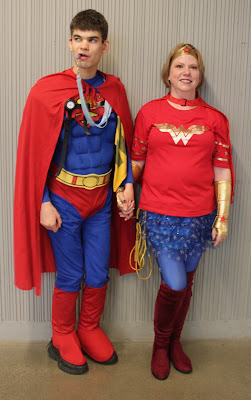 We love their costumes that fit the “Heroes Around Me” Reflections theme this year. Over the many years of the Reflections program, there have been very few Shoreline Reflections participants with pieces that advance to nationals, so it is a thrill to have three! Congratulations to all Shoreline Reflections participants and to these three creative kids who will now represent Shoreline at Nationals!